Although ceramic furniture rests were made in large numbers in the 19th century they have generated very little literature. This is the first book to be devoted to them. 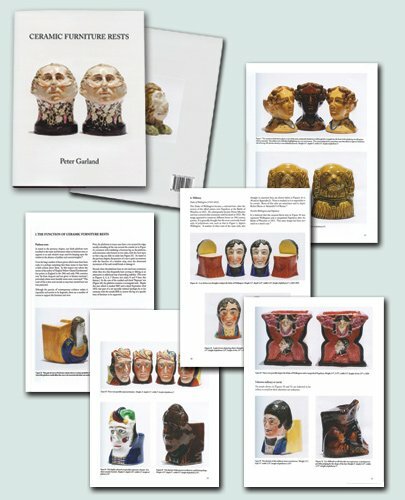 The author, after some prompting and encouragement from John Howard, an internationally recognised authority on 18th and 19th century British pottery, wrote and published the book. It is based on his own collection built up over more than 40 years and includes a number of ceramic rests kindly made available to him by others. The furniture rests are shown in well-sized, full-colour photographs throughout and the textual content covers topics such as the function of furniture rests (including whether the description of some of them as sash window rests is tenable), their dates and places of manufacture and, where possible, the identities of the people they depict. 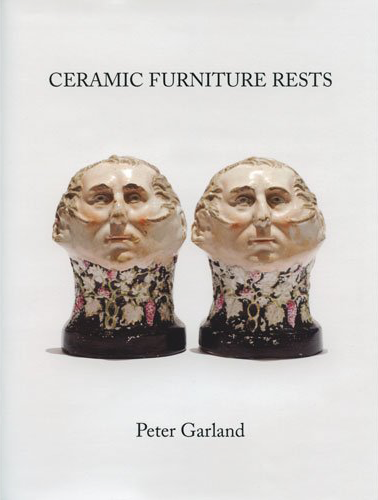 Ceramic Furniture Rests- Peter Garland. 108 pages – Hardback – Published 2011.